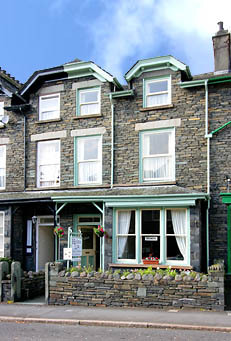 Pam and Billy Metcalfe welcome you to Holme Lea in Ambleside town centre, Holme Lea is close to all amenities. Newly refurbished, stylishly equipped and decorated to a very high standard, the house offers quality accommodation at reasonable prices. Full English breakfast is served, and there are vegetarian alternatives. The house is open all year except over Christmas. There are two double bedded rooms, one twin, one single and one family room. 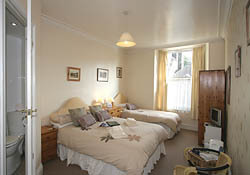 All except the single room have en-suite facilities. The single room has its own separate bathroom. 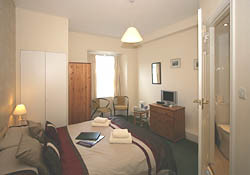 The rooms are fully equipped for your comfort and entertainment, including television and tea trays. Children are welcome, but we regret no pets. The house is strictly no smoking. Parking is available in the street outside. 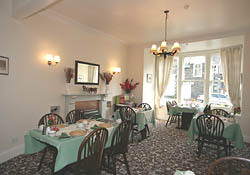 Terms are B&B – double room from £76.00 en-suite, single room from £38.00.